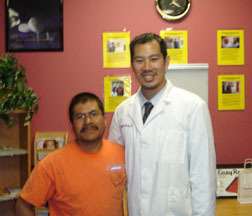 The doctors at the Chiropractic Health Club at the best chiropractors in Riverside. We know that, because it is what our patients say about us! Here are a few stories of those we were able to help find relief. I’ve been going to Chiropractic Health Club for a little over a year now and am grateful for the services they provide. I came to them for periodic adjustments, before I was injured. After a car accident, I came in with a herniated disc and a disc budge in my lumbar. I couldn’t find anyone who would look at my condition, because every orthopedic I called was booked for 6 months. I had numbness in my right leg from my knee to my toes, hip, and back pain. It will be a year this month, since I was injured. I can feel my whole leg, with slight numbness in my big toe, I have regained muscle strength, and am now walking without pain, swimming, and doing light exercise with improvements daily. Thank you Chiropractic Health Club Team. 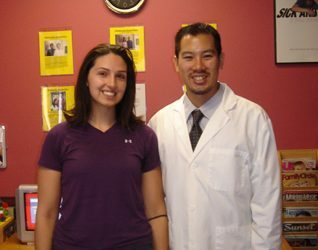 You all have given me my life back, and for that I cannot say THANK YOU enough.” – Tiny H.
“I came to see Dr. Kang and he started the NRCT chiropractic technique on me, and in the last month and a half or two I have noticed that I no longer have burning or tingling in my feet anymore. 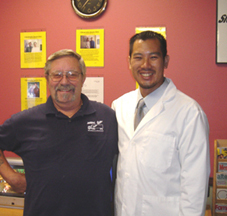 I am very happy with Dr. Kang and highly recommend him to anyone who is looking to have their pain and discomfort taken care of.” – Trudy H.
“When I first came here for NRCT, I had numbness in right leg and my vision in my eye was cloudy. After just the first visit, I noticed dramatic improvements in the numbness, and my vision got significantly better.” – Ron H.
“I haven’t felt any pain in my lower back for several months. My knee pain has improved significantly and I feel stronger, and more flexible because of the stretches and rehab exercises I’ve been given. I can understand why some might be skeptical of chiropractors, but I wouldn’t hesitate to recommend Chiropractic Health Club to anyone.” – Haley G.
“I have been going to different chiropractors for many years. Every time you come into the Chiropractic Health Club, the doctor feels your spine with his magic fingers, that’s what I call them. Then he does the adjustment needed to put you back in good health. Also, the doctor has showed me different ways to help me keep my back feeling good on my own. In all the time that I have been going for adjustments, there has only been one other doctor who even came close to Chiropractic Health Club’s treatment. Chiropractic Health Club has the touch of a good chiropractic doctor. If you need help with your pain, Run (if you can) to the Chiropractic Health Club. They are the best chiropractor in Riverside that I have had in over 20 years.” – Bruce L.
“After several treatments at the Chiropractic Health Club, I noticed my walking and balance was improving, but most of all my overall stamina was improving. I would set a timer to be in my yard for one hour, otherwise I would over do it. Now I am able to work in the yard 4-5 hours without over working. I feel tired at the end of the time period, but a good tired. I knew the curvature (scoliosis) was inhibiting my activities and will never straighten, but I didn’t realize that with chiropractic treatment, my lower back would improve. The constant pain I have always had with my lower back has lessened and I am much stronger.” – Bonnie S.
“I’ve been suffering with lower back pain for a long time. One time when I had a car accident, I had physical therapy and some pills for pain relief, but that didn’t work to well. Now, I really enjoy the improvement with getting my back better and stronger. I would advise others to come see a chiropractor for their own benefit, and also so they can have the experience I had. They won’t believe how good it is!” – Ben C.